One of the things I love the most about this series is finding new products under $10! 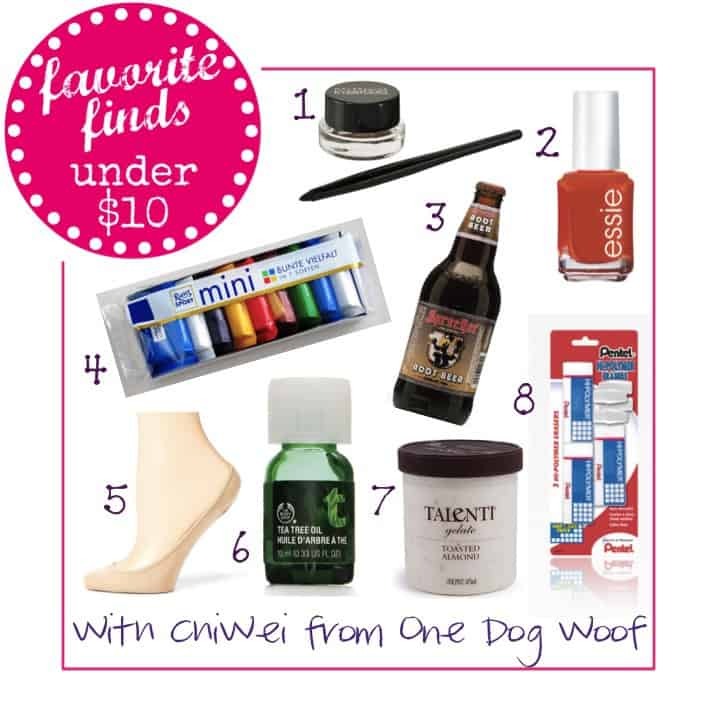 ChiWei is here today sharing her favorite finds under $10 and you won’t be disappointed. She definitely has good taste and it’s great because everything is inexpensive. 1. Maybelline Gel Eye Liner / 2. Essie Nail Polish – Meet Me at Sunset / 3. Sprecher Root Beer / 4. Mini Chocolate Bars from World Market / 5. Hidden Cotton Liners / 6. Tea Tree Oil from The Body Shop / 7. Toasted Almond Gelato / 8. Block Erasers – You can’t have too many erasers! That toasted almond gelato sounds AMAZING and I definitely need the liquid eyeliner. Thank you ChiWei for sharing your favorite finds with us. Head on over and say “hi” to ChiWei. 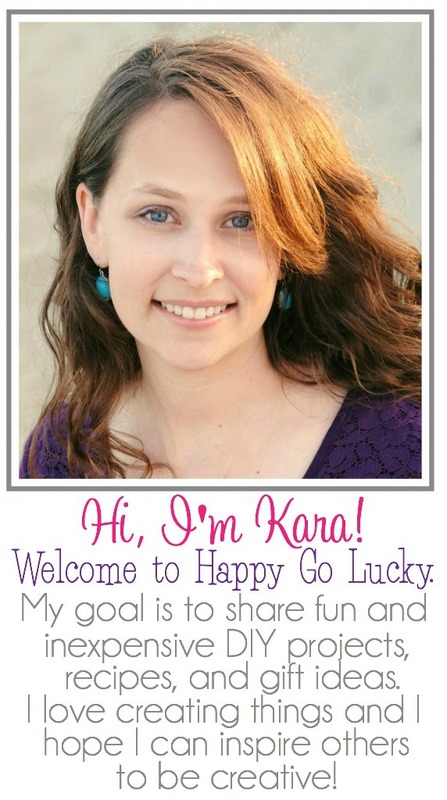 She is stuper talented and you will truly be inspired by all her fabulous projects! !